After serving in the RAF for 17 years, former Wing Commander Jim Ixer, hung up his flying gloves and entered the rapidly expanding commercial drone industry. Having always had the desire to see if he could make it on his own in business Jim had a number of options to pursue but didn’t really have any firm plans on which area to focus when leaving the RAF. He explains “it wasn’t until I was on my Career Transition Workshop that I really thought about the utility of drones in the civilian workplace and decided to channel my efforts in this area. By the end of the week I’d bought a drone and used my Individual Resettlement Training Grant to book myself onto a commercial course in order to gain the Civil Aviation Authority permission required to undertake aerial work”. When I was on the course it was much of what I already knew from my time on helicopters and I knew I could teach the course myself but in order to gain some credibility I decided to give myself a year operating commercially first. 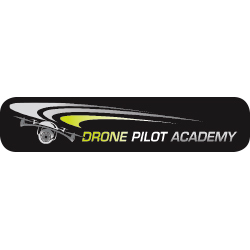 One year later and Jim has established the Drone Pilot Academy which offers residential training courses to other budding entrepreneurs and those Companies that can see a utility for adding drones to their businesses. His team of instructors are also ex-servicemen and have been hand-picked due to their backgrounds and experience. Jim continued to explain “It is such an exciting industry with new emerging developments nearly every week. The obvious commercial utility ranges from photography, video, survey, inspection and agronomy – the study of crop health – but thermal surveys of powerlines and wind turbine inspections are just a few examples of growing markets and it still keeps expanding. The emergency services are also getting in on the act too so whether you want to start your own business or just add the ability to commercially operate a drone to your CV then this should be a serious consideration for the service leaver.